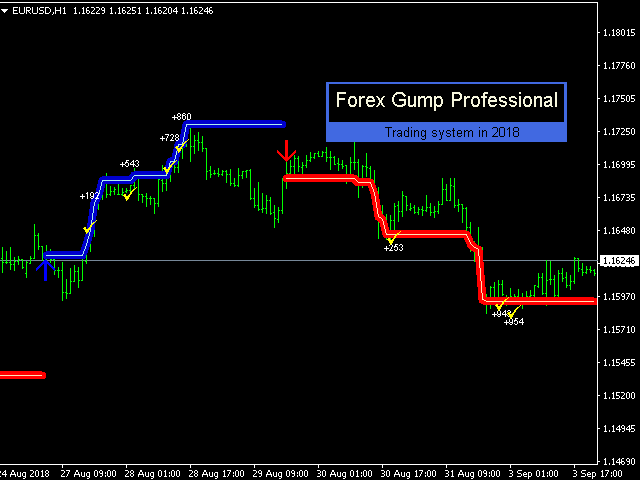 Now ForexGump has become an even more professional tool for trading on Forex. 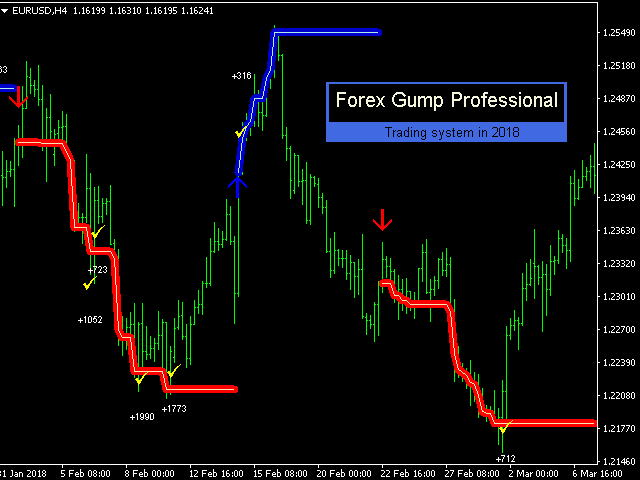 ForexGump Professional works on the strategy of following a trend. All filtering, optimization and monitoring functions of the market are built into one indicator. Fully automatic neural network algorithm with accuracy determines the direction of the price and the most effective points of opening and closing orders. 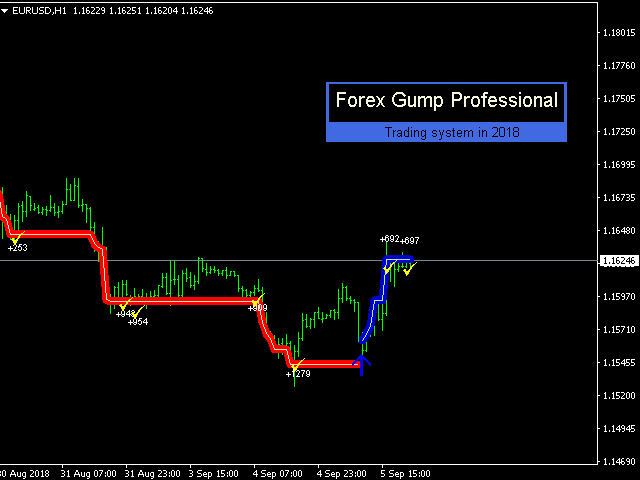 All you need is to follow the instructions of ForexGump Professional. Now the indicator in a very simple and accessible form, even for beginners, displays information on the screen of the trading terminal when it is necessary to open an order and when it is recommended to close it. In order to make it easier for a trader to trade and not have to sit around the computer round the clock, the indicator will send signals using push and email. Important! 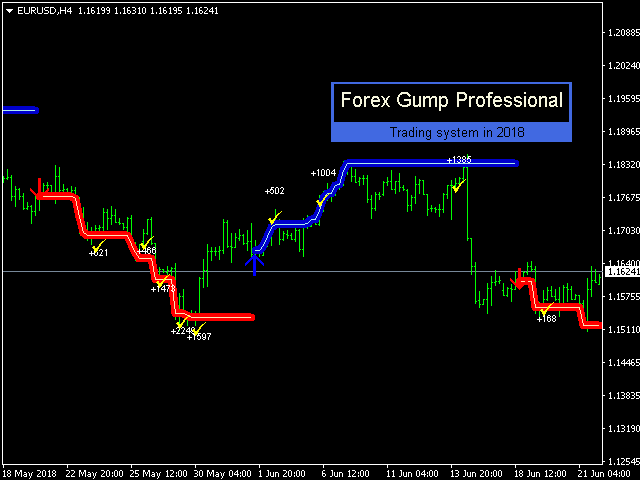 Run the demo version of the indicator on your terminal and see what profitability or loss the indicator will predict. This information he displays near each signal to close the order in the form of a yellow flag. If the indicator predicts a loss, please contact us and we will help you find effective settings. precisely determines the direction of the price. 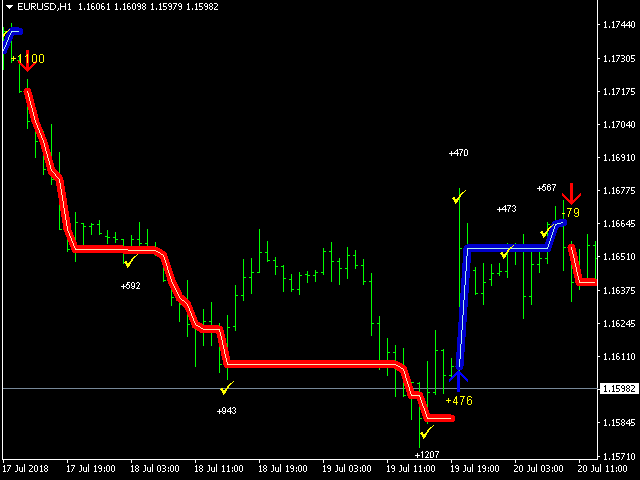 shows the trader in the form of arrows, when you need to open orders and in which direction. 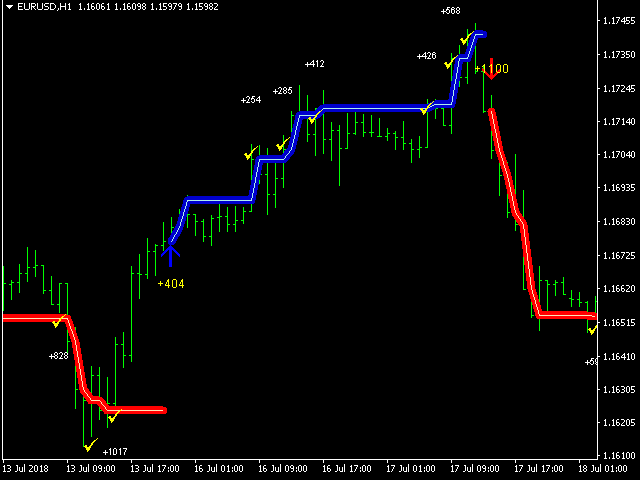 gives the trader recommendations when you need to close the order. if there is a blue arrow - we open a warrant for the purchase. if there is a red arrow - we open a warrant for sale. the indicator marks the recommended closing points of the order according to TakeProfit on the graph in the form of flags. if the order is opened and the signal appears in the opposite direction, we close the current order. period - period of calculation of the indicator. 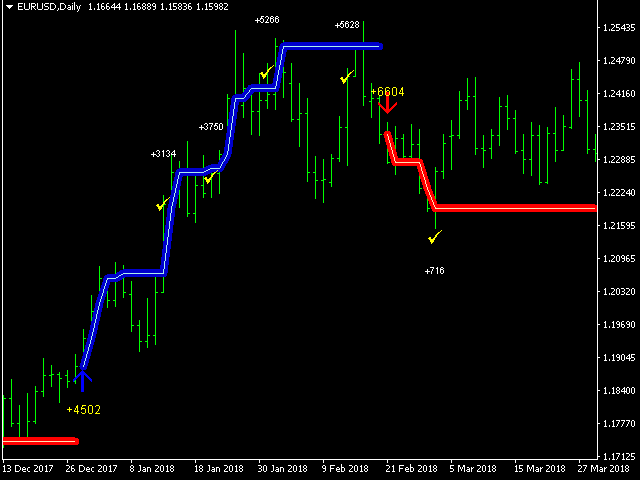 upper_bound - the upper limit of the price range for calculating the direction of the trend. 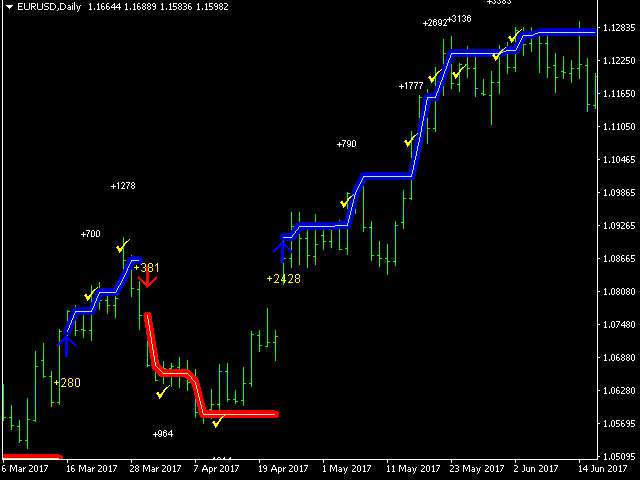 bottom_bound - the lower limit of the price range for calculating the direction of the trend. inform - output the information board to the screen. Color - the color of the information board. thickness_of_thick_line - thickness of a thick line. thin_line_thickness - the thickness of a thin line. Signal - send signals to email and push. 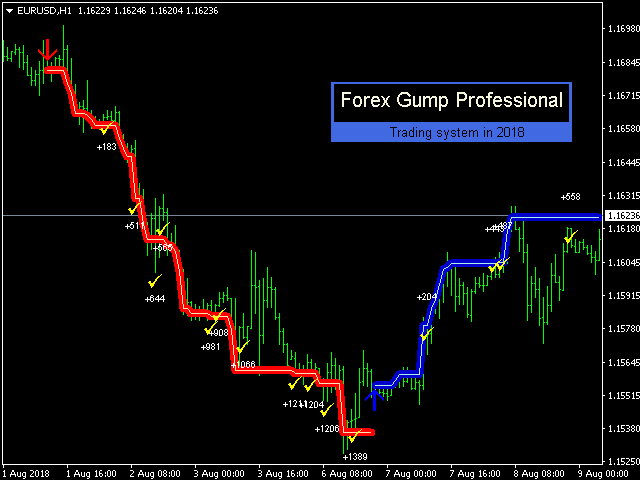 Everyone who bought the indicator ForexGump Professional, we give a robot for trade automation with an indicator. 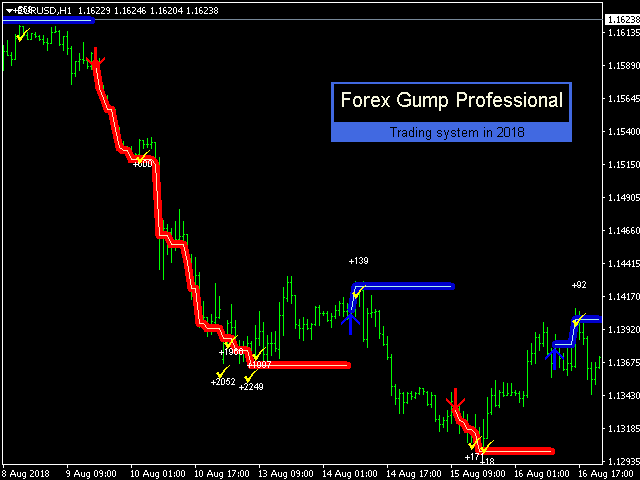 The robot opens and closes trades on the signals of the indicator ForexGump Professional.